Who doesn’t love summer? Summer makes us feel great. The sun is out, veggies and fruit are in season, we get outdoors a whole lot more than during the winter months, and most people are generally making the most of the long days. But what do you do when you don’t feel great? Maybe that cold you got back at the beginning of June is still lingering? Or maybe the general tiredness is still hanging around? Maybe your skin is dry and you can’t figure out why the extra humidity isn’t helping? 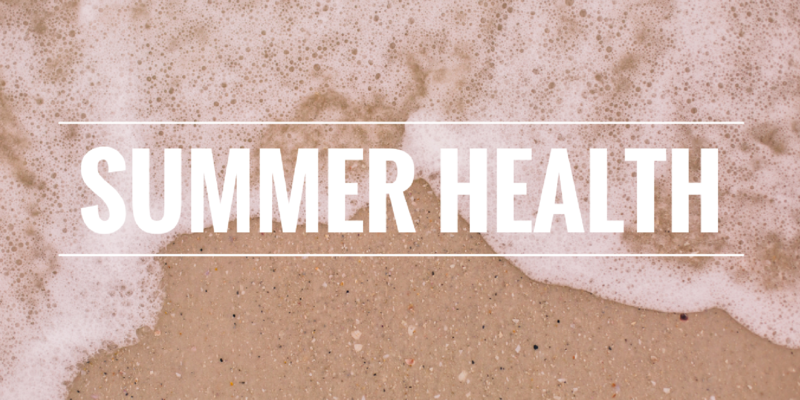 I think, quite often, we forget to keep our health at the forefront during the summer. Nights on the patio mean we indulge in a few more drinks and the couple months of warm and sunshine make us feel like we can eat more ice-cream and indulge in a few more potato chips than we usually would. Drink lots of water. It is important to stay hydrated, and not just when it is hot outside. Your body NEEDS water to function properly. Get out in the sun for a bit everyday without sunscreen and get some Vitamin D! It will charge your battery and boost your immune system. Eat loads of fresh vegetables and fruit. Find recipes for salads that you and your family will enjoy. Add some protein to it and you’ve got an instant meal! Keep active. Go for a walk or a run. Jump on your bike and explore the river valley. Play some pickup games of baseball or ball hockey. Hit up a beach and go swimming. There are so many activities that are fun (and free) in the summer. And relax…. take time to lay on a blanket in the sun. Put away the phone or laptop and chill out for awhile. **If you need some extra help, book yourself in for a Live Cell Analysis with Grant. He can help you figure out what might be lacking, or slim down that guess list of supplements that you actually need to be taking.